Traveling, outdoor activities, survival situations, military operations, these are but a few instances in which backpacks are used to great effect. While it might seem simple enough at first glance, a lot of thought goes into picking the right backpack for the job, with a lot of aspects that need to be figured out beforehand. That being said, finding the best external frame backpack can be a bit tricky. 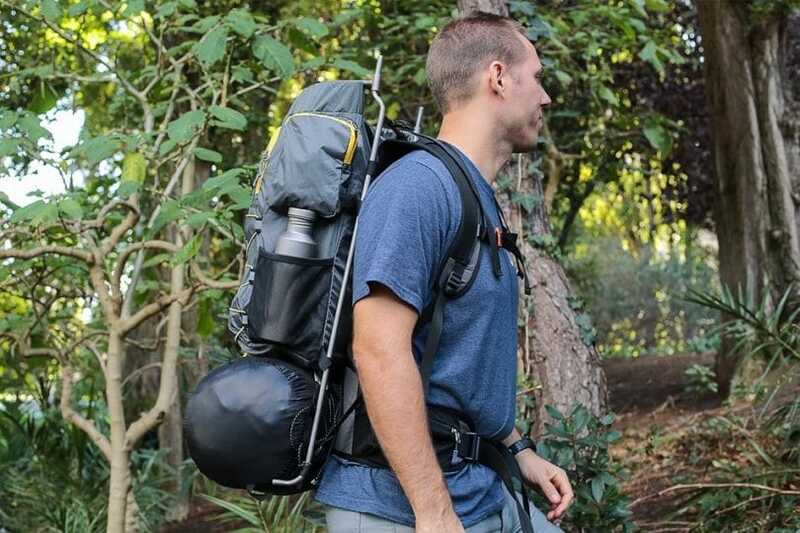 What is an external frame backpack? The name more or less gives it away. 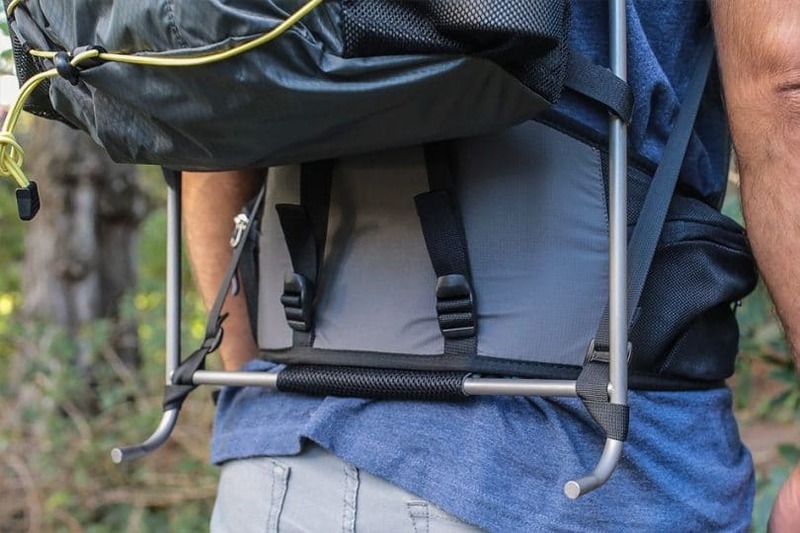 It is essentially a metal frame on which a backpack is mounted, with straps and a waist support belt protruding out of the opposite side of the frame in order to be mounted on the wearer. Depending on the design of the frame and backpack, different mounting mechanisms might be encountered. From clamps to ropes, bolts, and even lacing being used in order to secure the bag to the frame. This adds a wide degree of customization to the overall ensemble, allowing the wearer to change the position of the bag around in order to achieve better overall balance and stability. Some frames can be adjustable themselves, allowing the user to extend or retract them in order to suit their needs. 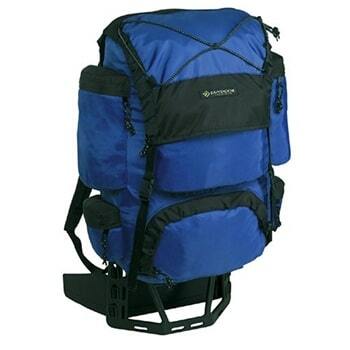 More modern backpacks come with telescopic frames which allow for much easier adjustments. 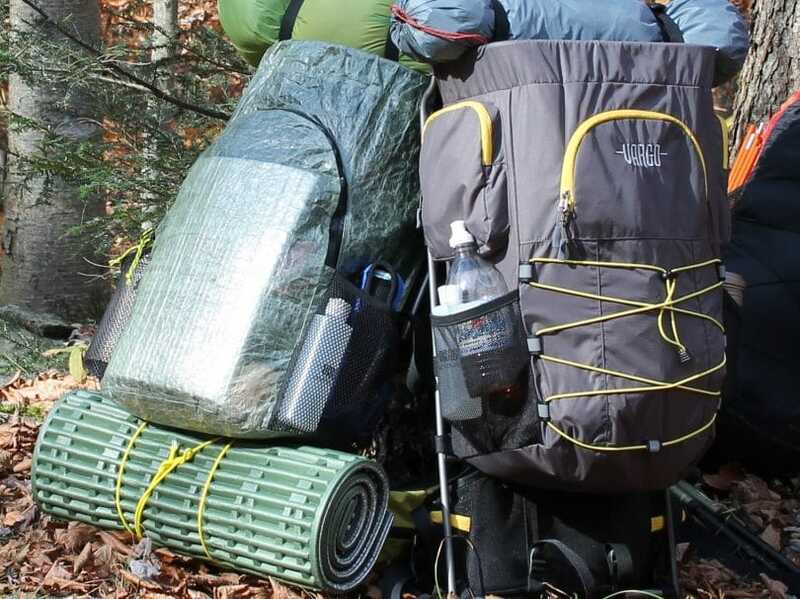 There are a lot of designs and variations out there, some offering more spare space on the frame itself in order to attach extra bags, sleeping bags, even a rolled up tent if need be. A lot of special adaptations have also been implemented, like hydration pouches filled with water and a small feeding hose running up to the wearer’s mouth. This is so that the number of times the wearer has to take his backpack off is drastically minimized. While there is certainly a lot of choices as well as a lot of advantages available for outdoor enthusiasts out there, there are also a few downsides that need to be taken into account. Every backpack has a carrying capacity which can often time overwhelm the hiker in question if he or she is not careful, making it easy to end up trundling along with an overweight backpack on your back. 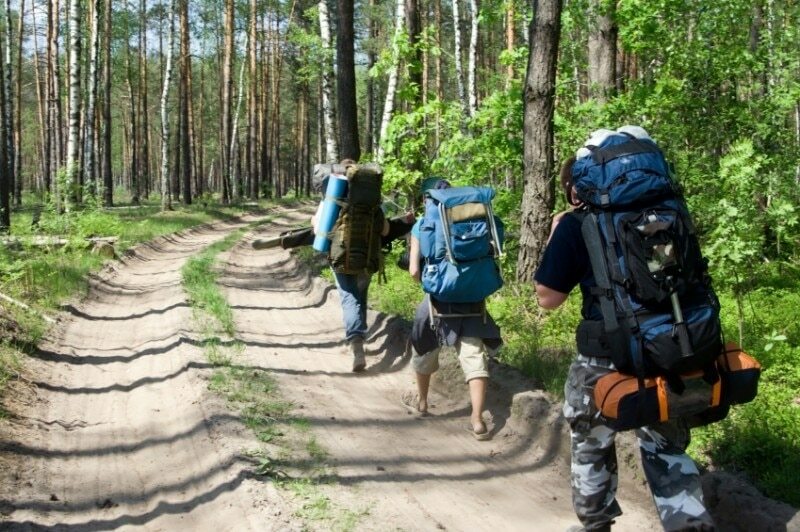 By far the most neglected aspect of backpacking is the correct position of the backpack on the hiker’s back. First of all, the frame needs to start just above the waistline, in the upper lumbar area, the waist belt strapping over the wearer’s navel. The straps need to be firmly placed on the shoulders without allowing any wiggle room between the frame and the shoulder blades. Make sure that the straps are as tight as possible, without preventing blood flow to the arms. For balancing reasons, the load that is being packed onto the frame should not rise above the level of the wearer’s head. Weight distribution also plays an important part here, a lopsided backpack easily throwing the wearer off-track every step of the way. Distributing weight is made easy by the side pockets that these backpacks come with, allowing the wearer to move thing around with ease and maintain a relatively stable center of gravity. A fun little fact worth knowing about external frame backpacks is the fact that there is a special way of putting them on you which is considered the correct one. Place the backpack standing on the ground, crouch down behind it, put your arms through the straps and come back up, lifting the straps with your shoulders and the bottom of the backpack with your hands. You can then simply adjust the straps into place. Do not, under any circumstance, lift it off the ground by its straps tossing it on your back like an ordinary school backpack, otherwise, you risk serious damage to the straps and stitching. One last thing to note here is that some backpacks can have an insulating lining, making the inside resistant to thermal changes. It goes without saying that these backpacks are more suited to colder environments due to condensation problems that arise when used in warm climates. 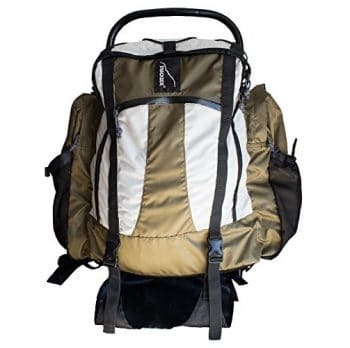 All in all, these backpacks are very appreciated by outdoorsmen, survivalists and hikers alike, making them the most important pieces of gear that you will need when venturing out into nature. A lot of people tend to treat this rather subjectively, however, there are a few things that are objectively available in all cases. First and foremost, you will have to know what you will be doing in the great outdoors. 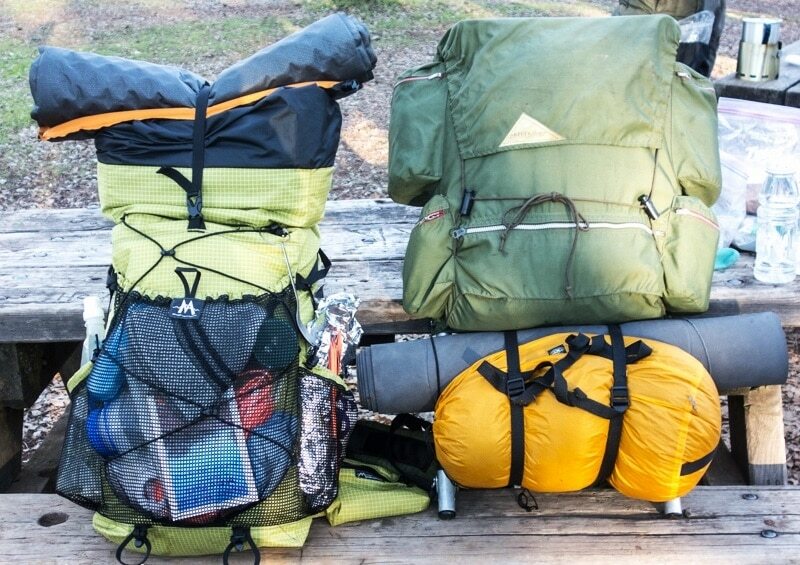 From hiking to camping, to trekking and hunting, all activities and purposes come with their own set of needs that different backpacks can meet. Believe it or not, although the backpack is one of the most important bits of gear, it is also the last one that you will purchase. This is because you need to see what the entirety of your gear is in order to pick the right backpack for the job, otherwise, the backpack will either be too big or too small to handle it. Once all that is settled and you have an accurate estimate of how big the backpack is going to be, it is time to look at what the frame should be like. There are different types of frames, with different setups, different mounting mechanisms, and different specifications. Make sure that the frame itself reaches from your upper lumbar area to no higher than the top of your head for the sake of your spine. A small note can be made here regarding back problems, which are growing more common in our day and age. These back problems can be accentuated by the wrong frame, so make sure that the frame is not too stiff, uncomfortable or angled in such a way that it would make your back act up. The same goes for the straps and waist belt, make sure that they are padded enough to keep you comfortable. Some backpacks have what is known as a “sleeper compartment” which is actually a portion of the frame which is completely free and not taken up by any bag. That is for sleeping bags and foam rolls to be strapped to the backpack. 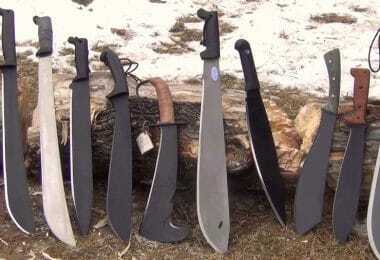 It is also something that you might want to look after if you plan on carrying a sleeping bag. A usual piece of wilderness safety advice is to pick a backpack with a bright screaming color, especially if you are going out on your own. This is so that it can be spotted easily by search and rescue teams if you get lost or in the case of an emergency. Last but by no means least on your list is waterproofing. The vast majority of backpacks are waterproof by default, however, depending on where you plan on going, you might want to take a closer look at the fine details. Check the zippers and whether or not there is a small flap covering the top. See if there are any other openings that need to be covered or if the manufacturer actually provided waterproofing solutions for them. Because of the diversity of the outdoor activities that we can participate in, the backpacks themselves have grown to be more diverse and versatile. Here are some of the more popular and appreciated backpacks that we have picked. 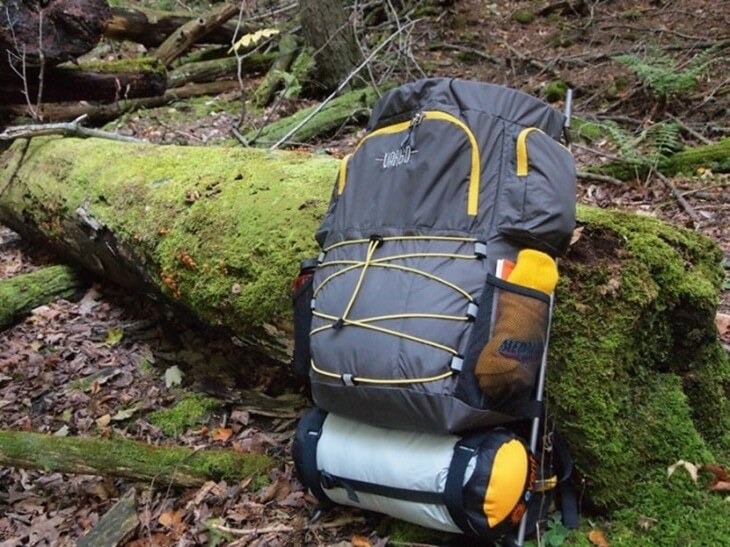 This is the kind of backpack that we can define as being the training wheels to backpacking. The Outdoor Dragonfly Backpack was designed with kids in mind and so the backpack has the dimensions to match, not to mention the fact that it is padded and framed as much as possible in order to avoid putting too much weight on the joints. This means that the preteens can indeed use this backpack without having to suffer growth-wise in the future. 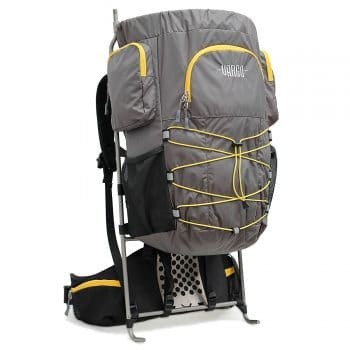 While this particular backpack does all that it can do in order to maximize comfort and protection, it is still able to give the child a good feel of what it takes to go hiking and backpacking, as well as giving him or her all the storage options that could fit on the frame. One last thing to mention about this backpack is the fact that it uses a mesh suspension system which is designed to keep your kid cool in the summer and warm in the winter by providing all the insulation that he or she needs while at the same time allowing the skin to breathe. It’s easy to use, easy to maintain, and most of all it is easy to access because it is not fitted with any complicated and cumbersome security measures. It really is a backpack for the little ones. Ruggedness and simplicity were the words of the day when this backpack was designed because it offers just that. Right off the bat, you will see that the backpack itself is rather small and restrictive when compared to other such packs. However, while it might look small and lacking, it is actually able to provide the wearer with more than enough storage room inside. 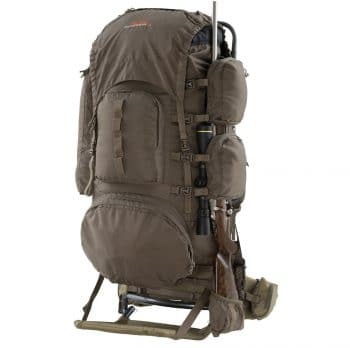 Although it sports a simplistic design, with almost no extra compartments, apart from its 2 side pockets, and only room for a bedroll at the top of the frame, it is still able to provide the hiker with a lot of external strength and resistance frame-wise. This, in turn, allows the wearer to strap and secure things directly to the frame. Besides the ruggedness of the frame and the simplicity of the design, this backpack is also made to endure some of the toughest punishments that mother nature can throw at it. The body is made out of diamond ripstop fabric which is coated with a layer of 2000PU, making it resistant to tearing and physical abuse as well as water resistant. All in all, The Backside backpack is a solution for people that prefer the bare-bone approach and focusing on raw strength and endurance rather than built-in storage solutions. The ALPS OutdoorZ Commander is made for people that like to get down to business without caring about anything else. It’s for specialized hunters that like to keep their gear nice and tight while at the same time having access to all of it at any given time or any given situation. 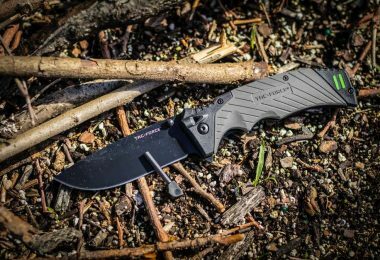 If some of the pockets strike you as being a bit weird in shape it is because they are made specifically for accommodating hunting equipment like guns, ammunitions, accessories, traps, and so on. 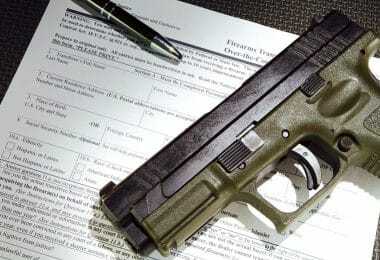 It even features a small holster for a sidearm or tazer, depending on the wearer’s preferences. It grants the wearer access to the main storage compartment via both the top and the bottom, and it even comes with a built in hydration pocket and feeding hose. The downside to this backpack is the way in which it is adjusted. This is because it follows the old-school frame backpack designs where you have to undo the backpack and all the straps, clamps and bolts that it has on one side in order to adjust it, then redoes them on the other side. This can be a bit time consuming and cumbersome at times, however, it has the advantage of giving the wearer quick access to its internals in case something goes wrong. The Vargo Ti-Arc Backpack has been lauded as being the next step in the evolution of external frame backpacks, and it is easy to see why. First of all, the frame itself is made out of lightweight titanium, making for a very durable structure that is able to take an unimaginable amount of abuse and punishment. 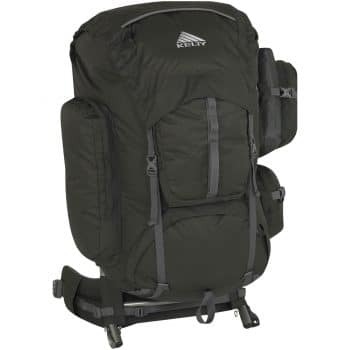 Second, the backpack itself is able to provide the wearer with a lot of storage room plus additional side pockets and room on the frame for extra packs and expansions if the wearer desires. The third is the fact that the design of the backpack focuses a lot on being as ergonomic as possible, spreading the weight around and protecting areas of the back that are known to be vulnerable when it comes to dealing with it. This is why the bulk of the weight is focused towards the top and sides of the pack and not the lower region, effectively sparing the lumbar area from any strain or effort. Although the backpack itself is ultralight, weighing in at merely 3 pounds, it is able to carry a little over 26 times its own weight without putting any pressure on the nylon fibers. It’s great for people that want to appreciate the outdoors without having to worry about the backpack and its impact on their health. Simplicity is sometimes key when trying to pick out a backpack, and the folks at Kelty Tioga understand that. Which is why this is one of the simplest and accessible designs that you can find on the market. Although simple at first glance, it is still able to perform due to ti very design. You have a very generous pack which is accessible from the top, one big side pocket on the left, 2 smaller side pockets on the right and 2 medium sized pockets on the front. Combined they can carry a volume of up to 5500 cubic centimeters without putting any strain on the fabric or frame. A key element here is the fact that all the storage solutions are easily accessible without requiring you to undo any clamps, straps or bolts, only the zippers, and occasional flap. The frame is an aspect that is often overlooked, and even though it is completely taken up by the backpack itself, it is strong enough to allow you to attach extras to it, provided you find the room for them, without any structural risk. 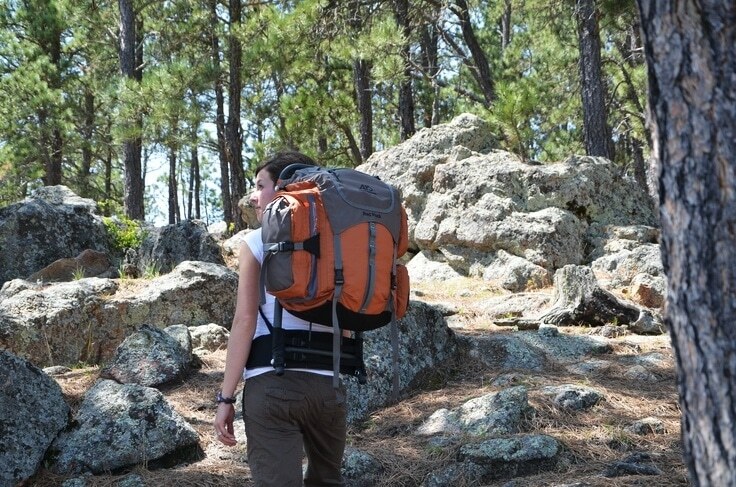 All in all, it’s a comfortable and simple to use a backpack that will make things a lot easier for you when you are out on a hike, a camping trip or trekking around enjoying nature. 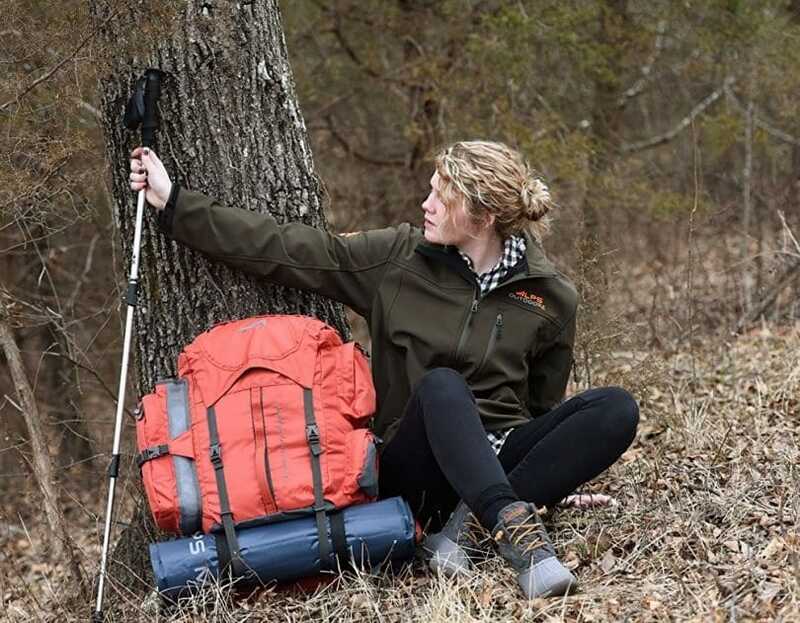 The Kelty Trekker is a lighter solution to backpacking needs, simply because of the fact that it was not designed to carry as much as other backpacks but at the same time keep a smaller and more manageable profile. A design like this is hugely popular with both amateur hikers and outdoorsmen as well as mountain climbers and adventurers alike, simply because of the low profile. This allows the wearer to be a lot more flexible and a lot more mobile, being able to allow for a range of movement that other bulkier backpacks simply cannot. That is not to say that it is lacking as a backpack. It is actually able to carry a volume just shy of 4000 cubic inches without stressing the fabric or the frame, it is able to provide extra compartments and pockets, allowing the wearer to spread the load evenly. Another great feature that this backpack brings to the table is the padding. While it is a lightweight pack, it has the same amount of padding and support as a heavy one, making it even easier to wear and move around with. The only small issue with it is the fact that the design did not allow for built in features like a hydration pouch or bottom access door, its versatility making up for it in droves. This is not your average lightweight backpack, this one was built to carry. While the volume itself is nothing to write home about, an average 3900 cubic inches, it can hold a weight of up to 64 liters, which is a lot more than average backpacks can. This performance is achieved due to the actual frame combined with the heavy duty ripstop nylon fabric of the backpack. The overall design of the ALPS Mountaineering Zion is simplistic. 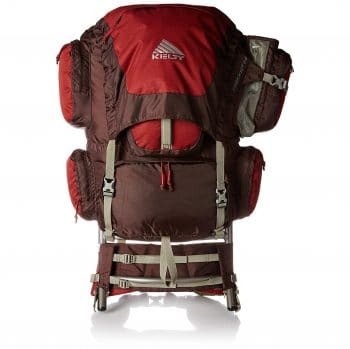 A large main pack with 3 side pockets, one on the right and 2 on the left, a central front pocket and a sleeping bag compartment underneath. Although it does not come with a hydration pouch of its own, it is hydration compatible. This means that you can attach one or more hydration pouches on the inside of the pack and run a feeding hose out the side without having to compromise. One of the major strengths of this backpack is the ease with which it can be adjusted as well as disassembled. There are a few caps and bolts that you have to deal with, however, the layout is very simple and you can complete any maintenance and adjustment work in a couple of minutes without any stress. This backpack is great for people that want to obtain the greatest carrying performances at rather affordable prices. This is another backpack aimed towards children, however, this one is a bit on the heavier side. 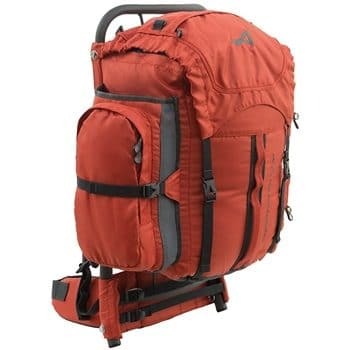 Alps Mountaineering Red Rock is designed to provide the wearer with ample space to store and carry all of his or her gear, while at the same time being able to carry a maximum weight of 34 liters. The design is simple and straight-forward. 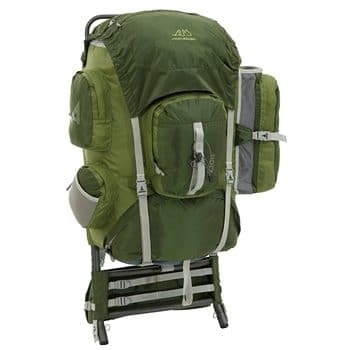 One main pack with 3 side pocket, 2 on the right and 1 on the left, a sleeping bag compartment underneath, lumbar support and a telescopic frame. Adjusting the backpack is easy due to the telescopic frame, with minimal disassembly required in order to do so. The straps and lumbar support are heavily padded, making it easy to wear without having to deal with any stress or pain. The only downside of this backpack is the fact that it does not present the wearer with any option to attach extra bags or pockets. This was actually a design choice because it is geared towards kids and teens so adding extra unnecessary weight might not turn out good in the long run. Besides the limited attachment possibilities, it is still a comfortable, useful and versatile backpack that will ensure all the storage space and all the comfort that your young one will need on his or her trip. Indeed there are quite a few things that need to be taken into consideration before picking out a backpack. All of them have something that they can bring to the table and all of them have small drawbacks that we need to be mindful of. With designers and manufacturers racing against each other to provide more features and more interesting designs, we can easily get carried away. As long as we know where we are going, for how long, what we will be doing there and what gear we will be packing, it becomes considerably easier to pick out the right one from the crowd.